Anderson, SC, April 16, 2012 – DELTA® Power Equipment Corporation, a designer and manufacturer of benchtop and stationary woodworking machinery and dust management systems, is introducing four innovative new sanders designed to meet the needs of today's professional woodworker and serious home shop woodworker. The new sanders include a 26-inch Dual Drum Sander, Model 31-481; a 6-inch x 89-inch Oscillating Edge Sander, Model 31-482; a Heavy Duty Oscillating Bench Spindle Sander; Model 31-483; and a Heavy Duty Oscillating Spindle Floor Sander, Model 31-484. 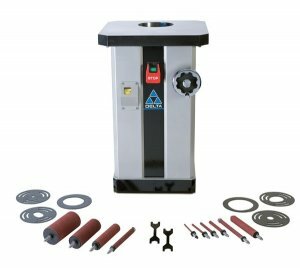 DELTA® is also introducing more than 95 abrasive SKUs to support these new sanders, and all DELTA® sanders, with high quality, long lasting sanding products, including sleeves, belts, discs and strips. "We are very proud to be able to expand the Delta offering in the sander category," said Bryan Whiffen, President and CEO of Delta Power Equipment Corporation. 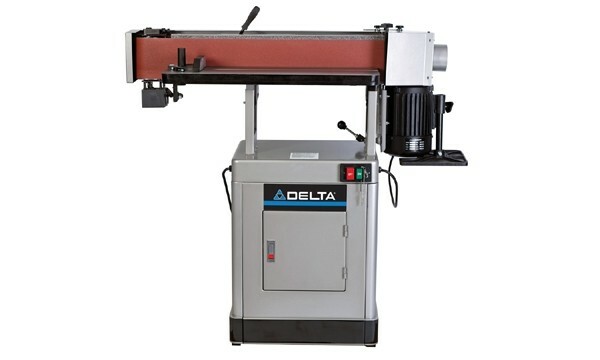 "We are not only filling out our product line in a very important woodworking category, but bringing an innovative new product to market in the Delta tilting spindle arbor design. 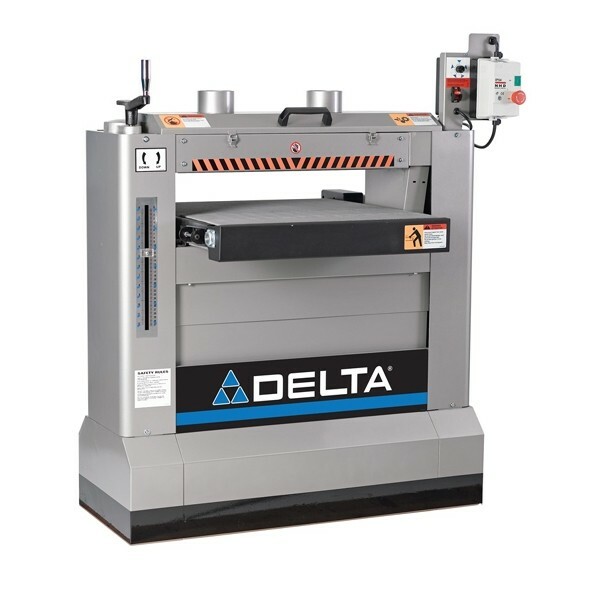 With these new tools, Delta is continuing its tradition of offering woodworkers the very latest innovations and the very best in terms of capability and durability." This new sander features a unique 0° to 45° tilting spindle arbor design which allows the woodworker to adjust the sanding angle and to bevel sand while the table remains flat. Its 1-1/2-inch oscillating action uses more of the sleeve, prolonging sleeve life while protecting wood from excess heat created by a fixed oscillating spindle. It has adjustable positive stops at 45° and 90° and large bevel scale for accuracy and convenience. It also features a 24-5/8-inch x 24-1/2-inch precision ground cast iron table and fully enclosed, heavy duty steel-frame construction for optimum dust management and minimum vibration. Its heavy duty, cast iron trunnion system supports an oil-bath gear box, providing increased stability and accuracy. It has a powerful 1 HP, 110V motor with 1,725 RPM spindle speed and 71 oscillations per minute. Precision ball bearings support the main spindle and heavy duty worm and gear mechanism drives the oscillations. A removable rear access panel makes spindle changes easier. It has on-board storage for all inserts, spindles and wrenches and comes with 10 interchangeable threaded spindles with 100-grit sanding sleeves (1/4 in., 3/8 in., 1/2 in., 5/8 in., 3/4 in., 1 in., 1 1/2 in., 2 in., 3 in., and 4 in. ), 6 inserts, power lock-off pin and 2 wrenches. It will be available in June and has a suggested retail price of $1,649.99. This sander features fully enclosed, heavy duty steel frame construction for minimum vibration with a 14-3/4-inch x 14-3/4-inch precision ground cast iron table. Its 15/16-inch oscillating action uses more of the sleeve, prolonging sleeve life. The sander has a 0° to 45° tilting table design, allowing for accurate bevel sanding with a positive stop at 90° and a large bevel scale for accuracy and convenience. The Model 31-483 also features a heavy duty, steel table support and bevel system which provides increased stability and long-lasting durability with twin locking handles for stability in any bevel position. This sander has a powerful 1/2 HP, 115V motor with 1,725 RPM spindle speed and 29 oscillations per minute. Its smooth precision ball bearings support the main spindle and heavy duty worm and gear mechanism drives the oscillations. It has on-board storage for all inserts, spindles and wrenches and includes 5 interchangeable threaded spindles with 100 grit sanding sleeves (1/4 in., 1/2 in., 5/8 in., 1 1/2 in., and 2 in. ), rubber drums on 1-1/2-inch and 2-inch spindles, 4 inserts, power lock-off pin, 2-1/4-inch to 4-inch dust port adaptor and 3 wrenches. It will be available in May and has a suggested retail price of $449.99. This sander features a powerful 1 1/2 HP, dual voltage 115V/230V (wired 230V), 1 phase motor with 3,900 SFPM belt speed and 108 OPM allowing it to be an aggressive, powerful sanding system for quick material removal in vertical or horizontal positions and any bevel positions in between. Its 1/4-inch belt oscillation ensures full use of the belt, reducing uneven wear and reducing the potential for sanding lines while prolonging belt life. Integral dust shroud and 4-inch dust port ensure optimum dust management. The Oscillating Edge Sander comes with a back stop, sanding drum cast iron support table, miter gauge, tracking tool, fence, one 6-inch x 89-inch 100 grit sanding belt, and adjustment tools/wrenches. DELTA® offers 80- 100-, 120- and 150-grit sanding belts, sold separately. It will be available in May with a suggested retail price of $1049.99. This sander features increased capacity which allows for sanding material up to 12-1/4-inch deep x 25-1/2-inch wide. It also has an independent adjustable rear drum, offering the woodworker one-pass sanding capability using 2 grits, reducing processing time. Its rear roller adjustment dials ensure the rear drum is level and it has a heavy duty steel frame design with superior finish for long-lasting durability. The sander's latching top door provides direct access to dual drums for easy sanding wrap changes, and features toolless drum wrap tensioning clamps, making installation and removal of sanding strips easy, requiring less downtime. It has an industrial grade 3 HP, 230V, 60 Hz, 1 Phase Main Motor with magnetic controls; 1/6 HP, 1 phase, variable speed feed belt motor with feed speeds from 3 FPM to 20 FPM and a drum speed of 1,550 RPM. It comes with a magnetic on/off main motor switch and a removable key switch for the variable speed feed belt motor. Its two 4-inch dust ports provide efficient dust collection requiring a total of only 600 CFM. It comes with feed belt, two sanding drums, one 80-grit and one 120-grit sanding strip. Sold separately, DELTA® offers 3-piece sanding strips in 80-, 100-, 120-, 150-, 180- and 220-grit. The 26-inch Dual Drum Sander will be available in May with a suggested retail price of $2299.99.